I originally got the idea from Design*Sponge and it's way cheaper than wall paper since painters tape is $2.50 plus I had white paint left over from another project. 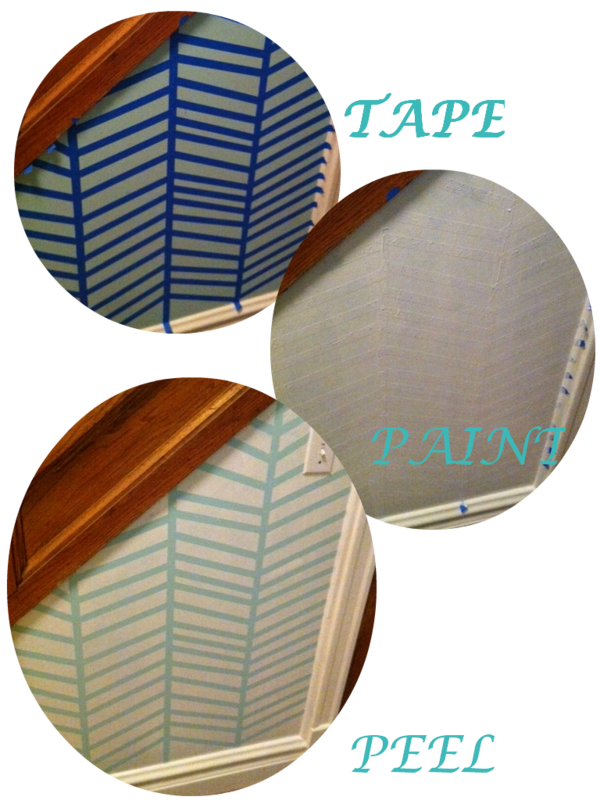 Roughly $10 in tape is way better than $60 a roll. I'll be sure to post mote pics when I finish.